Welcome to the January 9, 2019 edition of ACM TechNews, providing timely information for IT professionals three times a week. A new artificial intelligence (AI) technology accurately identifies rare genetic disorders using a photo of a patient's face, which could be of value in personalized medicine. Yaron Gurovich of AI and precision-medicine firm FDNA said the DeepGestalt tool "demonstrates how one can successfully apply state-of-the-art algorithms, such as deep learning, to a challenging field where the available data is small, unbalanced in terms of available patients per condition, and where the need to support a large amount of conditions is great." 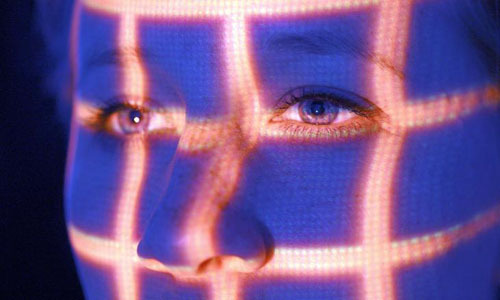 DeepGestalt was trained on 17,000 facial images of patients from a database of subjects diagnosed with more than 200 distinct genetic maladies. The algorithm outperformed clinicians in two separate sets of tests to identify a target syndrome among 502 selected images, proposing a list of potential diseases and identifying the right one in its top 10 suggestions 91% of the time. 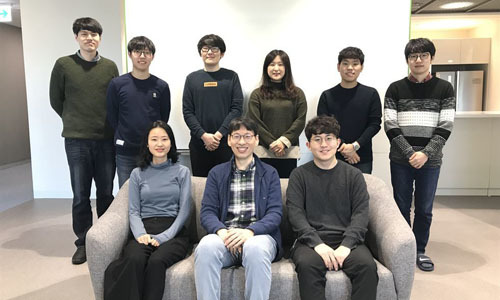 Blockchain Learning Group has launched the first program to make high school students conversant with blockchain technology via governmental workshops. These workshops offer the same training methodology that helps leading executives and engineers understand blockchain concepts to high school students. Students are assigned to work with practical concepts by being taught coding skills and design knowledge to build their own apps on different blockchains. These workshops conclude with a hackathon in which participants showcase their knowledge with their apps, and Blockchain Learning Group aims to extend this program to 1,000 schools in countries ranging from Canada to Australia. The program is currently running in a few high schools in both countries, including some all-girls schools. Cornell Tech scientists found consumers trust online sellers who post their own high-quality photos of items for sale more than they trust those who show stock images or poor-quality photos. Cornell Tech's Xiao Ma said, "People believe the user-generated images represent the actual condition of the product better." 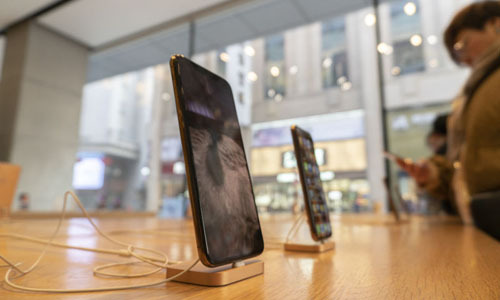 The scientists developed an algorithm to assess image quality, which was about 87% accurate in rating images in private data from eBay and public data from the mobile classifieds app Letgo.com. Image analysis via classic computer-vision techniques and linear regression demonstrated that certain products with higher-quality photos were 1.17 times more likely to be sold than those with lower-quality images. These findings could inform online marketplaces' efforts to improve trust in their websites. 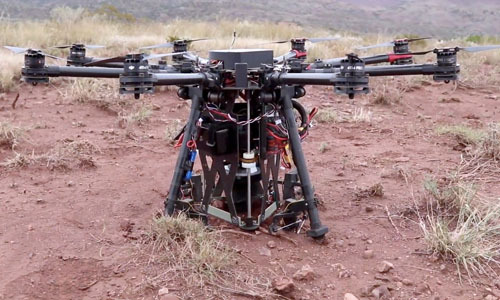 Researchers in the University of Nebraska's NIMBUS Lab have developed drones that can dig holes in the ground and then fill those holes with sensors. The system consists of a quadcopter drone that carries an auger with an embedded sensor, which it uses to place the sensor in the ground. In addition, the drone can autonomously determine whether it is digging in a good spot or not. The researchers also developed a piece of technology, consisting of a “helicarrier,” a parachute, and a unique drone deployment system that gives the drone extended range. Said NIMBUS Lab co-director Carrick Detweiler, "Currently the sensor emplacement site is manually selected, however, the system is smart enough to know if it is likely to succeed in emplacing a sensor after just a short amount of digging." IBM has introduced the world's first standalone, general-purpose quantum computer. The company said the quantum bits (qubits) in the system maintained coherence for 75 microseconds, an apparent record for such a machine. The qubits are suspended from the top of the cubical structure in a steel cylinder, which is one of four interference-proof casings. Maintenance technicians can open the front of the cube on cantilevered hinges so they can work on the equipment from inside. IBM Research's Dario Gil said the new system marks "an iconic moment" for IBM as a systems company. 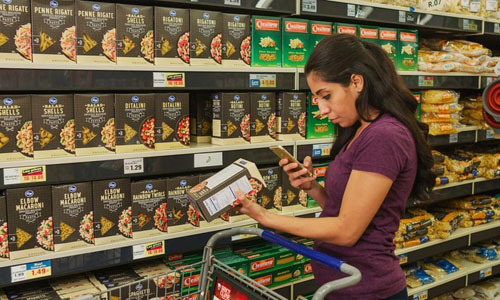 Microsoft and the Kroger supermarket chain are collaborating on online grocery shopping, with Kroger having reworked two stores as a testbed for "digital shelves" that display ads and change prices on the fly, and a sensor network to monitor products and expedite shopping. Customers using Kroger's self-checkout app are directed through the stores to items on their shopping list, with the shelves showing personalized icons selected by shoppers below the relevant item. The shelves also illuminate to help staff pick orders for Kroger's curbside grocery pickup service. Artificial intelligence software from Microsoft can predict a customer's age and gender to help vendors customize ads. Microsoft's incentive for the arrangement is expanding its hybrid cloud, which combines customers' corporate data centers with the company's own. 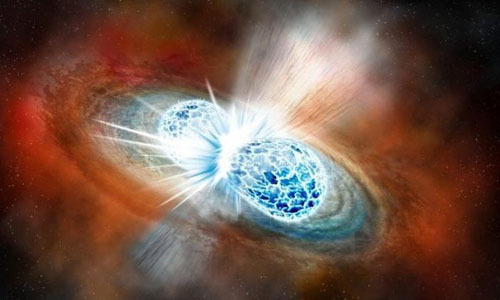 An international research team used supercomputers at the U.S. National Energy Research Scientific Computing Center in Berkeley, CA, to run a three-dimensional (3D) computer model of a neutron star collision. The simulation, more sophisticated than previous models, can account for the dispersal of stellar matter following collisions. For example, the new model determined the accretion disk of remnant debris orbiting the combined star ejects twice the amount of material and at higher speeds, compared with two-dimensional models. Said the University of Alberta's Rodrigo Fernandez, "We know the equations that describe [the magnetic field's effect on accretion disk formation], but the only way that we can properly describe them is in 3D. So, not only do you have to run the simulation for a long time, you also have to model it in three dimensions, which is computationally very expensive." The Big Issue street magazine has launched augmented reality (AR) technology so its vendors can share their stories about homelessness with the U.K. public. The rollout includes AR interactions, with readers downloading an app onto their smartphones, scanning it over AR icons in The Big Issue, and watching traditional print articles enhanced by video animation and audio recordings. According to The Big Issue digital editor Ben Sullivan, the goal is to help "hammer home the message" about the U.K. housing crisis. He said, "Augmented reality will definitely help people better understand the homelessness issue in the U.K."
Researchers at Seoul National University in South Korea have developed a tool for automatically parallelizing deep learning training. The Parallax tool is a framework that optimizes data parallel training by utilizing the sparsity of model parameters. The tool uses a hybrid approach that combines Parameter Server and AllReduce architectures to optimize the amount of data transfer according to its sparsity. Other deep learning frameworks, such as TensorFlow, MXNet, and Caffe2, show relatively low scalability for training natural language processing models, while Parallax, when built atop TensorFlow, achieves scalable training throughput on both dense and sparse models with little effort from its users. As a result, Parallax achieves up to 2.8 times and 6.02 times greater speeds for natural language processing models than TensorFlow and Horovod with 48 GPUs, respectively. Governments and police forces around the world are trying harder than ever to exploit software that is becoming increasingly difficult to compromise. Market-leading software exploit broker Zerodium recently said it would pay up to $2 million for zero-click jailbreaks of Apple's iOS, $1.5 million for one-click iOS jailbreaks, and $1 million for exploits that take over security messaging apps WhatsApp and iMessage. These prices are up about $500,000 from previous levels, an indication that the demand for them continues to grow, and that reliable exploitation of these targets is becoming increasingly difficult. Zerodium said it only sells the exploits to lawful governments, although it has never provided details to verify those claims. Researchers at the University of Sussex and Imperial College London in the U.K., and Nanyang Technological University in Singapore, have used game theory to enable robots to assist humans in a safe and versatile manner. The researchers used adaptive control and Nash equilibrium game theory to program a robot that can understand its human user's behavior in order to better anticipate their movements and respond to them. The researchers overcame the robot’s inability to understand a human's intentions by enabling the robot to identify its human user while safely and efficiently interacting with their motion. The resulting system allows a robot to continuously learn the human user's control and adapt its own control correspondingly. Imperial College London’s Etienne Burdet said that to apply game theory to human-robot interaction, “it was necessary to understand how the robot can identify the human user’s control goals simultaneously to smoothly interacting with them." Global recruiting firm Hays estimated that 68% of information technology (IT) employers will increase full-time IT hiring this year, while 53% will increase their use of consultants, particularly in the areas of cybersecurity and cloud computing. Dice.com's Leslie Stevens-Huffman said Foote Partners' latest compilation of in-demand IT jobs shows an observable shift toward opportunities in data management and analysis. According to the Foote research, "AI (artificial intelligence) will go mainstream in 2019 and make big leaps in the next two to three years as companies look to gain real business impact from AI tools. As that occurs, AI will become a foundational skill required of everyone who works in tech in a corporate workforce." The Foote research also observed that 12 of the 25 top-paying certifications are related to information/cybersecurity, adding, “Almost every job in tech now requires security awareness and basic know-how."